Kerry, Ireland | Tuesday 3 July 2018: Irish-international fintech company, Fexco has today announced a significant expansion of its operations headquartered in Killorglin, Co Kerry creating 175 new jobs over 3 years. The jobs form part of Fexco’s expansion strategy reinforcing the South West’s position as the driving force of Ireland’s fintech industry. 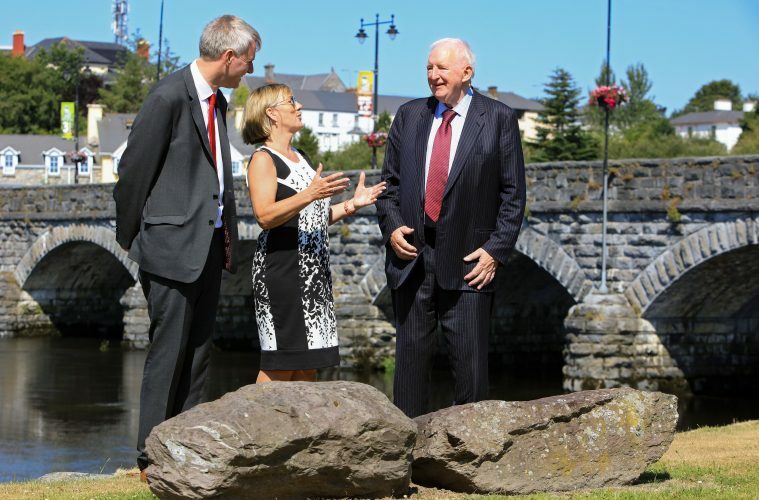 The announcement was made today in Killorglin by Julie Sinnamon, CEO of Enterprise Ireland, together with Fexco CEO Denis McCarthy, and Fexco Chairman, Brian McCarthy. The development is supported by the Government through Enterprise Ireland’s R&D Fund. Recognised as one of the world’s original and longest-established fintech players, Fexco has developed an innovative suite of payments and foreign exchange products and solutions including Dynamic Currency Conversion (DCC), Multi-Currency Pricing (MCP), Tax-Free Shopping and Retail FX. The high-skill jobs announced today will add 175 to the existing 2,300 staff working across Fexco’s Irish and international operations spanning 29 countries. Fexco is seeking experts in ICT engineering, software and sales to serve new product development opportunities in Ireland. Speaking at today’s announcement, Denis McCarthy CEO of Fexco said: “Today marks a significant investment, by Fexco, into the South West. Our plans to hire an additional 175 people for our Irish operations, based primarily in Killorglin, demonstrate Fexco’s commitment to this region, one synonymous with entrepreneurship, innovation and success in the ICT and fintech sectors. “Those seeking new opportunities outside of the major cities can enjoy the benefits of our unique location including access to a variety of housing, schools and third level institutes, social amenities, state of the art transport infrastructure, significantly reduced traffic volumes and of course one of the most beautiful vistas in the world. Julie Sinnamon, CEO of Enterprise Ireland said: “Enterprise Ireland has worked closely with Fexco, both in Ireland and internationally, since it was established in 1981. It has been great to have witnessed the growth of the company from the initial idea right through to the global financial services leader that it is today. “Fexco’s presence in the South West makes an important contribution to prosperity at a regional level. The company was one of the first Irish fintech companies and its growth has contributed to the development of the fintech sector in Ireland, as well as to the positioning of Ireland as a centre of fintech excellence, globally.